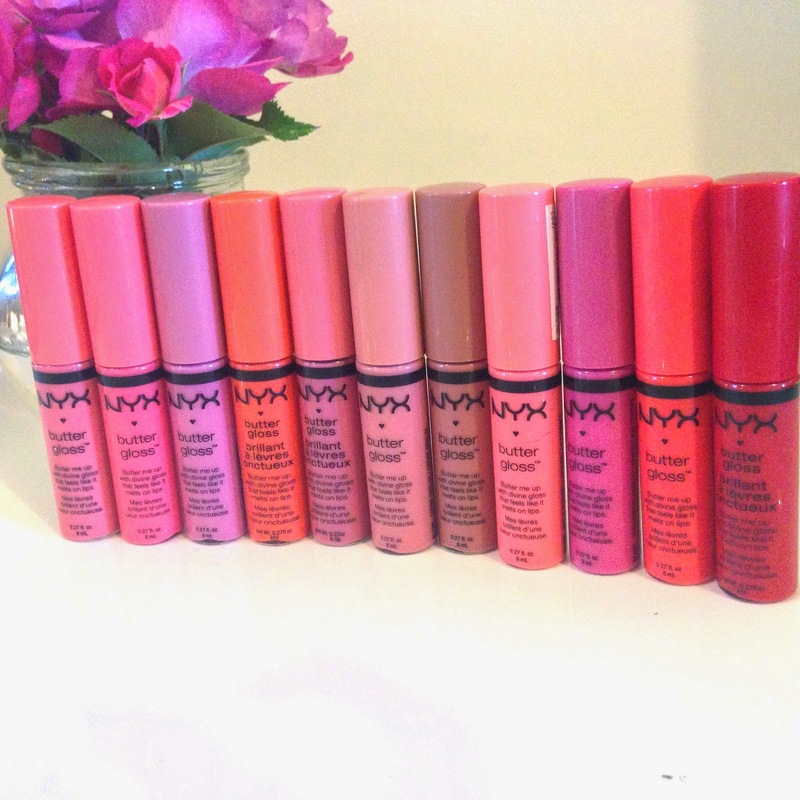 These are one of my all time favourite lip products. 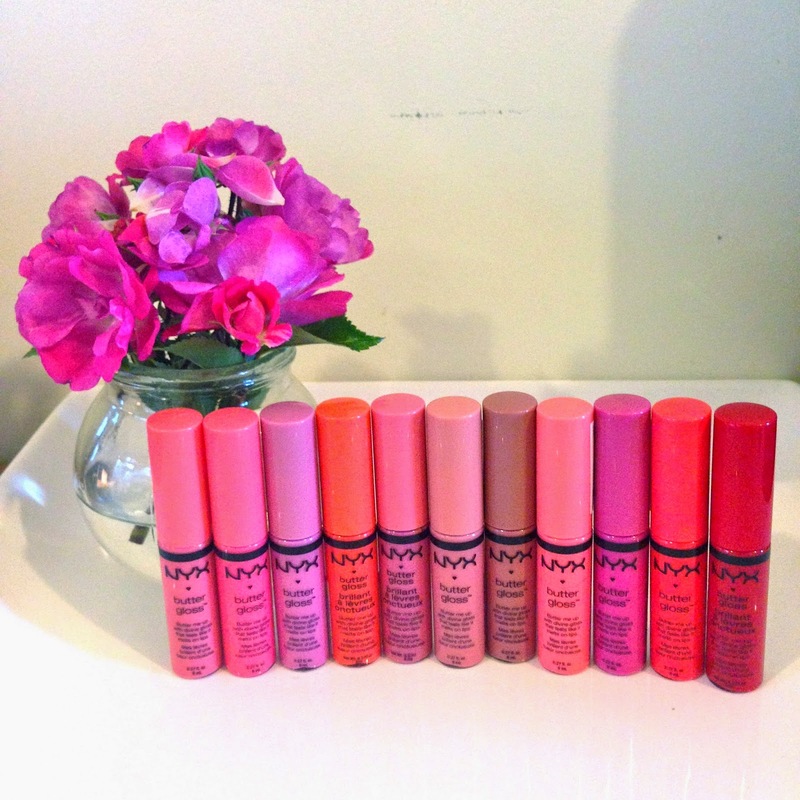 NYX Buttergloss's fell like you are applying a high end lip product to your lips but for only $5. You can see I really love these with the large amount I have collected. I think I nearly have the whole collection! I am not a huge fan of lip-glosses as I find them two sticky and they don't have enough colour payoff. But when I came across the Buttergloss's I was super impressed. They have a creamy consistency making them non sticky and really comfortable to wear. 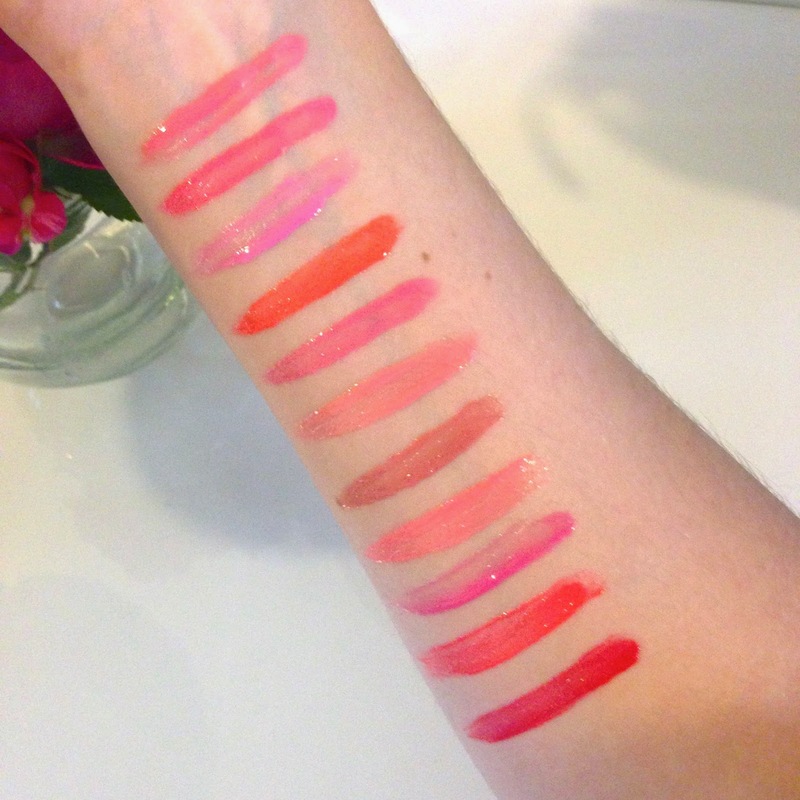 They also have a great colour payoff like those of lip laquar. I love playing around and experimenting with the more bold colours as you don't make as much of a statement but the still give you a lovely colour payoff on the lip. Not only do they look good on the lips, and feel good on the lips. They also smell amazing. They have a lovely sweet scent that matches nicely with their dessert names! There is a wide range of colours offered where you will find one for everyone, from bright reds to nudes and everything in-between. I love every single one off them and had to get them all! I wanted to show you the colours that I have in my collection, and also do some swatches for you so you can get an idea of what these look like on the lips! I highly recommend you guys give these a try you wont be disappointed!